I feel proud and privileged to welcome you to the department of Textile Engineering Management at Bangladesh University of Textiles. Our vision is to be the recognized global leader in textile engineering management education and discovery of new knowledge. We endeavor every day with a mission to use new knowledge to empower our students to succeed and to inspire all our stakeholders to improve our world through new innovative textile designs, products, processes and services. To be able to success in the competitive global textile & apparel business arena the company must need a multidisciplinary knowledge based manager. The combination of textile engineering and management knowledge lead our graduates to the best managerial position in the textile industry. I would like to give thanks to all of our faculty members for their endless support, enthusiasm, dedication and passion towards achieving our departmental mission and goal. The aim of Textile Engineering Management department is to produce highly competent multidisciplinary knowledge based textile graduates. The program is designed in such a way that one can be technically sound as a graduate engineer as well as can develop his managerial skills where both technical and managerial skills give him a strong base of his future engineering career. Currently, we are offering B.Sc in Textile Engineering Management, M.Sc. in Textile Engineering Management and MBA in Textiles. The undergraduate programs help students defining and solving managerial problems with fundamental concepts and practical demonstrations. Besides the basic textile engineering courses, we are focusing on fundamentals of management, marketing, accounting & finance, economics, product development, entrepreneurship, project development and supply chain management in Textile and Apparel industry. Our M.Sc in Textile Engineering Management is mixed mode program with an extensive research work for industrial & managerial problem solving and exploiting, innovating & discovering of Textile & Apparel business. To be a centre of excellence in education, research and professional services through the application of Textile Engineering Management within a global context. To graduate innovative and inquisitive Textile Engineers from the department of Textile Engineering Management, who are filled with strong moral virtues of their profession and are able to design, implement, manage and continuously improve systems and applications that are geared to identify and solve problems with technological, economic, legal and managerial dimensions in business, textile industry, government and non-profit settings. To nurture students with academic excellence through high quality teaching, research, case development, innovative courses and enlightenment of learning. Academic leadership in textile engineering education to prepare managers for diverse leadership roles in industry, business, academia and government enterprises. To provide managerial talent as well as textile knowledge with risk managing ability, passion for learning and creative thinking and, values in rapidly evolving economic and social environment. To establish research program in addressing national and international issues in areas of Textile Engineering Management. 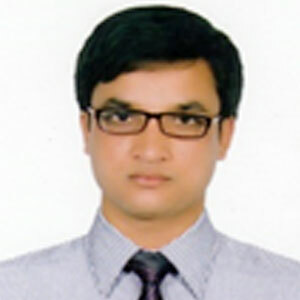 Mr. Masum has been working for Bangladesh University of Textiles since 2011. He has also served Prime Bank Limited, Grameenphone Limited and One Bank Limited from 2006 to 2011 before joining in the Department of Textile Management. The structural analysis of the TCI of Bangladesh. International trading of textile and clothing. Global value chain and mapping of the TCI. 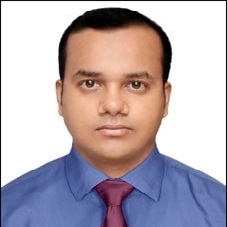 Mr. Masum has finished his BBA in Management and MBA in Human Resource Management from the University of Dhaka in the year 2006 and 2007 respectively. He finished his primary, secondary and tertiary education as a scholar. Inaba, K., & Masum, M. (2017). Input-output analysis on the demand-supply structure of the textile-clothing industry of Bangladesh and Asian competitors. KESRA Conference (pp. 71-85). Seoul: The Korean Association of Economic System Research. Masum, M. (2012). Human resource management: How human resources use and utilize the other factors of production and add value to the enterprise vis-à-vis to the national economy. Business Review-Bangladesh, 1(1), 126-134. Masum, M. (2016). The Bangladesh textile-clothing industry: A demand-supply review. Social System Studies, 33(September), 109-140. Masum, M. (2017). Demand-supply direction of the textile-clothing industry of Asian newly industralized economy South Korea and Bangladesh. The Ritsumeikan Economic Review, 65(4), 289-333. Masum, M., & Haque, M. (2012). Congenial industrial relations: A solution to RMG workers’ frequent unrest. Business Review-Bangladesh, 1(2), 224-231. Masum, M., & Inaba, K. (2015). A comparative input output analysis of the textile-clothing sector in Bangladesh and some Asian countries. The 10th International Conference on the Regional Innovation and Cooperation in Asia (pp. 101-116). Bangkok: National Institute of Development Administration. Masum, M., & Inaba, K. (2016). Demand-supply direction of the textile-clothing industry of Asian newly industralized economy South Korea and Bangladesh. Regional Innovation and Cooperation in Asia Conference (pp. 99-113). Busan: Pusan National University. Masum, M., & Islam, M. M. (2014). Analyzing job security of lower and lower middle class employees of textile sector of Bangladesh. Journal of Textile Science and Engineering, 1(1), 27-34. Masum, M., Bhattacharjee, D., & Haque, M. (2013). Performance, effectiveness, consequences of industrial cooperation on textile & garments task force of developing 8 group: Some analytic solutions. PRC Journal, 2(1), 207-220. Mohiuddin, M., Masum, M., & Islam, M. M. (2015). Green clothing production: Present scenario and its impact on export marketing of Bangladesh. 22nd Annual International Conference on Advances in Management, (pp. 79-82). Boston. Before joining BUTEX in April 2004, Mr. Shayekh Munir had been working as Sr. Executive, Planning (Fabrics) in Padma Poly Cotton Knit Fabrics Ltd. He was engaged in Planning and monitoring production schedules and altering them when necessary. He was also at command of a maintenance team which was liable to minimize the downtime of production line. He has also enriched his professionalism as Assistant Merchandiser in Unique Designers Ltd and Junior Consultant in A&J Corporation Ltd.
Mr. Shayekh owns a very reflective and outstanding academic record. 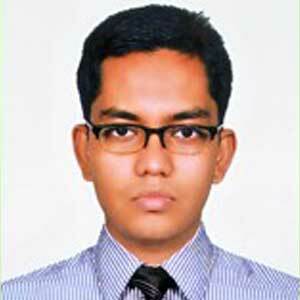 He has completed his HSC from Dhaka College, one of the top ranked college in Bangladesh. Then he obtained B. Sc. in Textile Engineering degree and with excellent stand, obtained his MBA in Textiles degree from this university. Mr. Md. Syduzzaman, after his graduation, started his career as an apparel production executive in Denimach Ltd. which is one of the best denim garments manufacturing industries in Bangladesh. After gathering sufficient technical knowledge, his leading character inspired him to lead the RMG sector. He changed the track and joined in merchandising at Renaissance Group, one of the most successful knit garments exporters of Bangladesh, where he really proved to be a dynamic and proactive person. 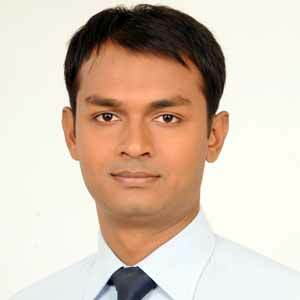 He has joined in Bangladesh University of Textiles on 7th April, 2014 as a lecturer. As one of the most energetic and athletic soul, Mr. Zaman still finds pleasure in organizing various social and cultural events both in and outside of the campus. Mr. Zaman has completed his M. Sc. in Textile Engineering from Bangladesh University of Textiles (BUTEX) in 2012-2013 session. He has also completed his B. Sc. in Textile Engineering with outstanding performance from the same university in 2012. He also holds the glory of being student of Comilla Victoria College for his HSC. The Impact of Human Resource Management Practices on Job Performances: A Case Study of Dhaka Bank Pvt. Ltd., Bangladesh. Effects of Implementing TQM Principles in the Apparel Manufacturing Industry: Case Study on a Bangladeshi Clothing Factory. Effects of Raising and Sueding on the Physical and Mechanical Properties of Dyed Knitted Fabric. Comparison of Seam Strength between Dyed and Un-Dyed Gabardine Apparels: A Research on Lapped & Superimposed Seam. Smart Textiles and Nano-Technology: A General Overview. Md. 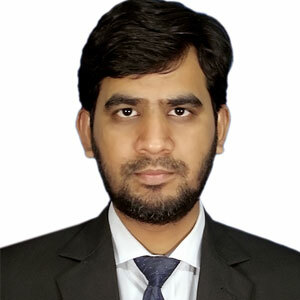 Arif Iqbal is an expert in advanced textile management and entrepreneurship. His academic focus is Textile engineering project management and Textile economics. Prior to becoming an honorable faculty member of BUTEX, he was in professional and industrial practice where he worked as a textile engineer at Merchandising department of Hameem group (the largest RMG exporting industry of Bangladesh). He was also employed as a “Research Assistant” at Bangladesh Textile Today, the most prominent textile research magazine of Bangladesh. He enjoys sharing this depth of knowledge and experience with his students and takes pride in empowering the next generation of textile professional. Over many years, Arif Iqbal has been a director and co-founder of numerous emerging social entrepreneurship companies, including Prakirti Foundation and Green Valley Technical Park. Mr. Arif Iqbal received his B.Sc. in textile engineering degree from Bangladesh University of Textiles. Now he is pursuing his Master’s in Textile Engineering Management from BUTEX. 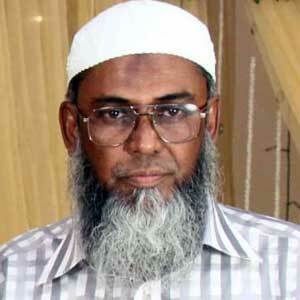 Prior to Bachelor degree, he completed his higher secondary having more than 80% marks in all subjects from Notre Dame College, Dhaka, the best college of Bangladesh over 30 years. Mr. Nabi has been working for Bangladesh University of Textiles since 2015. He has also served as a Lecturer of Port City International University, Chittagong from 2015 to 2015 before joining in the Department of Textile Management. Now he is working as a Assistant Professor (Management) of textile Engineering Management. Mr. Nabi has a profound knowledge of marketing, management, Human resource management and customer relationship management and other fields of business arena. 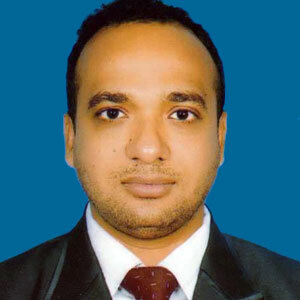 Mr. Nabi works as a consultant of industrial relations and human resource divisions of different parts of the world. He also works as a consultant of marketing and social marketing and media management and industrial conflict resolution. Mr. Nabi was a successful ex-president and general secretary of CZS. 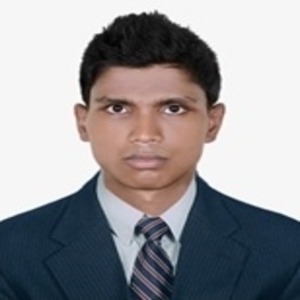 Mr. Nabi has finished his Bachelor of Business Administration (BBA) in Management Studies and Masters of Business Administration (MBA) in Management Studies from the University of Rajshahi in the year 2012 and 2013 respectively. He had made the outstanding score in his academic Career. He is very fond of research and interested in working the new arena. He finished his primary, secondary and tertiary education as a scholar. He has received many outstanding rewards of his educational and institutional life. He has attended and conducted many seminars on human resource management and industrial relations. He was a pioneer of business plan and business entrepreneurs plan in arena of business. Nurun Nabi, Islam M, Dip TM, Hossain AA (2017) Impact of Motivation on Employee Performances: A Case Study of Karmasangsthan Bank Limited, Bangladesh. Arabian J Bus Manag Review 7: 293. doi: 4172/2223-5833.1000293. Nurun Nabi, Abu Al Tareq Ahmed, Md. Sahedur Rahman, The Empirical Study on Human Resource Management Practices with Special Reference to Job Satisfaction and Employee Turnover at Investment Corporation of Bangladesh, Human Resource Management Research, Vol. 7 No. 1, 2017, pp. 54-64. doi: 10.5923/j.hrmr.20170701.07. Nurun Nabi, Md. Syduzzaman, Md. 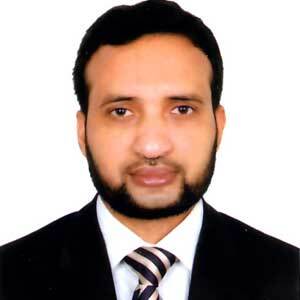 Shayekh Munir, The Impact of Human Resource Management Practices on Job Performances: A Case Study of Dhaka Bank Pvt. Ltd., Bangladesh, Human Resource Management Research, Vol. 6 No. 2, 2016, pp. 45-54. doi: 10.5923/j.hrmr.20160602.03. Nurun Nabi, Islam M, Dip TM, Hossain AA (2017) Impact of Motivation on Employee Performances: A Case Study of Karmasangsthan Bank Limited, Bangladesh. Arabian J Bus Manag Review 7: 293. doi: 10.4172/2223-5833.1000293. Nurun Nabi, Shayekh Munir, Abu Al Tareq Ahmed and Jenepha Eyesmin, 2016. “How motivation influences the job factors of production : A case study of jamuna bank ptv.ltd, Bangladesh”, International Journal of Current Research: Research, 8, (12), 43159-43166. Nabi NM, Foysol KM, Adnan SM (2017) The Role and Impact of Business Communication on Employee Performances and Job Satisfactions: A Case Study on Karmasangsthan Bank Limited, Bangladesh. Arabian J Bus Manag Review 7: 301. doi: 10.4172/2223-5833.1000301. 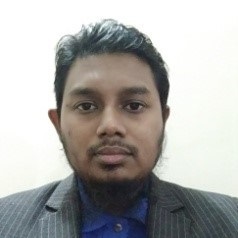 With the apparition to be an outstanding academic and research scholar, Mr. Ahsan Habib is currently serving as lecturer in the Department of Textile Engineering management in Bangladesh University of Textiles. He joined in the Department in 14th February, 2017. 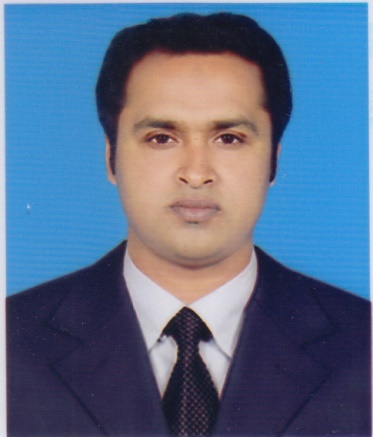 Previously Mr. Habib worked as Lecturer in Northern University Bangladesh (NUB) for one year. In the beginning of his career, he worked as Executive and Sr. Executive in JM Fabrics Ltd.(A Concern of NEW ASIA GROUP) and Masco Industries Ltd.(A Concern of MASCO GROUP) respectively for three years. Mr. Habib possess very distinguished and speculative academic record. He completed his B.Sc. In Textile Engineering with specialization in Textile Engineering Management from Bangladesh University of Textiles. He is now perusing his M.Sc. in Textile Engineering from this department and now working on his thesis part under the supervision of respected professors. He achieved the board scholarships in SSC and was awarded junior scholarships. Marzia Dulal is a person with enthusiastic approach to teaching and lecturing in an engaging manner. She is passionate with all her works. 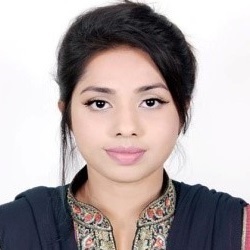 She had joined as Lecturer in the Department of Textile Engineering Management at Bangladesh University of Textiles in 2017. Before joining in BUTEX, she worked as a lecturer at Primeasia University in Textile Engineering Department. 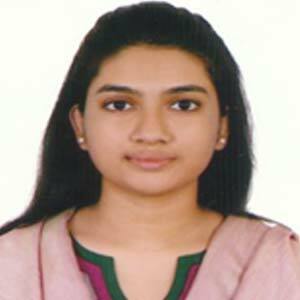 In addition, she had one year industrial experience as she had been working at Sharmin Group as Asst. Planning Manager in Production Planning Department. There, her area of concentration was to create production schedule and prioritize job orders for production optimization.She finds pleasure in teaching now and is more proficient in employing excellence in time management, analytic thinking and ability to exercise powers of communication in order to provide the institution with the best services. Marzia Dulal has earned Prime minister's gold medal-2014 for her excellent academic performance. 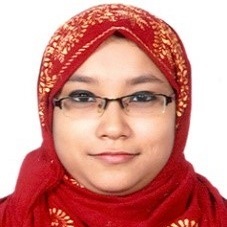 Now she is pursuing her Master’s Degree in Textile Engineering from Bangladesh University of Textiles. She completed her B.Sc in Textile Engineering with specialization in Textile Engineering Management from the same university with CGPA 3.83. Mr. Md. Hasan Sheikh, after his graduation, to acquire practical knowledge and lead the RMG sector, started his career in merchandising at Asmara (BD) Private Ltd. It’s a multinational trading company, where he really proved to be a dynamic and proactive person. He handled three most successful denim garments exporters of Bangladesh named Standard Group, Ananta Casual Wear Ltd. and Ha-Meem Group during his job at Asmara. He has joined in Bangladesh University of Textiles on 3rd October, 2017 as a lecturer in the department of Textile Engineering Management. As one of the most energetic and athletic soul, Mr. Md. Hasan Sheikh always finds pleasure in organizing various social and cultural events both in and outside of the campus. Mr. Md. Hasan Sheikh stood First Class First in B.Sc. 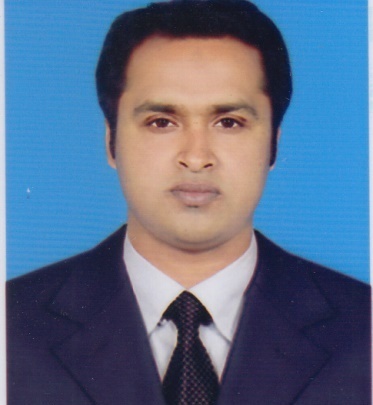 in Textile Engineering specialized in Textile Management from Bangladesh University of Textiles. Now he is pursuing his M.Sc. in Textile Engineering from BUTex. Prior to Bachelor degree, he completed his higher secondary from Nawab Siraj-Ud Dowla Government College, Natore.